After boasting significant gains in its first three months, New Jersey saw its regulated Internet poker industry taper off. Earlier this week, New Jersey’s Division of Gaming Enforcement released its monthly revenue report for the month of March. Overall, NJ’s nascent iGaming market fared reasonably well, bolstering month-over-month gains of approximately $1.5 million. However, it was the state’s online casino industry, and not its poker operations, that propelled gross revenue margins to new heights. The details of the DGE’s report can be found here. The Borgata and its online gaming partner bwin.party were the big winners once again, pulling in nearly $4.4 million in gross revenue. Caesars placed second at $3.72 million, closing the distance between itself and the Borgata by nearly $100k. The upstart Tropicana placed a strong third at $1.9 million, which becomes even more impressive when you consider that the Trop has yet to roll-out a dedicated poker site. Trump Taj narrowly edged out the Golden Nugget for fourth place – $682k to $678, and Trump Plaza brought up the rear with nearly $510k in revenue. Relative growth numbers are slightly less impressive, as the market had three more days to track figures in March than it did in February. Nearly all of the industry’s growth was due to gains in NJ’s online casino sector. Poker, on the other hands, stagnated – only bolstering gains of approximately $100k for the month ($3.1 million vs. $3.2 million). For the fourth consecutive month, the Borgata topped the poker charts, accounting for over 51 percent of the state’s online poker revenue. Caesars Interactive, and its two poker networks, came in second at 45.7 percent and the Taj, in accordance with struggling gaming partner Ultimate Gaming, captured a mere 3.1 percent of the poker-only industry. And let’s not forget about Trump Plaza and its online partner Betfair, which brought in a laughable $25 in revenue. 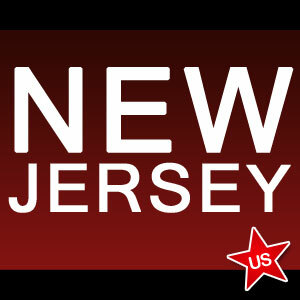 Why is New Jersey’s online poker market struggling? Early spring is a notoriously slow time in the online poker world. The novelty factor of a state regulated poker market has begun to fade. The sites have yet to correct many of their software and technology issues. The value to be had from poker promotions held in March paled in comparison to those featured in prior months. Thus far, it appears that unless New Jersey’s poker operators do something big, industry revenue figures will be down again. Since April 1st, traffic across all NJ poker sites has fallen by nearly 16 percent. Luckily, help in the form of the first annual NJ Championship of Online Poker, is on the way. A series of mid-to-high buy-in events set to kick off on Saturday; the NJCOP should draw increased attention to Party Poker and Borgata. Other positive signs include more varied payment processing vehicles, better match bonuses, and the presence of the WPT Championship, which is being held at the Borgata’s brick and mortar casino for the first time.